Hyundai Motor and Kia Motors, the country’s top two auto makers, flagged a combined 631,225 units in global sales last month, up 10.4 percent on–year, the company said Thursday. This marks the first two digit growth rate since December 2014, boosted by recovery in external factors including improved diplomatic relations between Seoul and Beijing, coupled with all-out marketing efforts of the automaker‘s top brass led by Vice Chairman Chung Eui-sun. Sales recovery was evident in China, where Hyundai and Kia sold 101.9 percent more vehicles last month, totaling 103,109 units compared to April last year. Each, Hyundai Motor sold 70,007 units there, up 100 percent, while sales of Kia Motors increased 106.2 percent to 33,102 units. 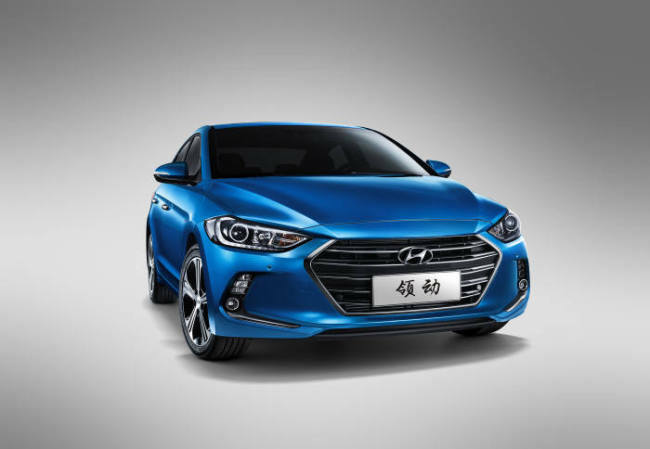 “Along with base effect from last year, models designed exclusively for the Chinese market garnered popularity there, taking a step closer to achieving this year’s sales goal,” Hyundai Motor said. Hyundai Motor’s mid-compact car Lingdong tailored for China ranked the No.1 bestselling model in April, and flagged 19,300 units in sales. Hyundai sold 4,385 units of compact sport utility vehicle Encino, sold as Kona here, launched last month, it said. As for Kia Motors, the China-exclusive K2 compact sedan was the most sold with 9,818 units, followed by K3 at 7,983 units. Midsize SUV Zhi Pao released last month trailed behind at 4,836 units. By restoring brand value, releasing new SUV models and green cars, Hyundai and Kia are seeking to achieve this year’s goal to sell a combined 1.3 million units, among which Hyundai would make up 900,000 units and Kia 450,000 units. Vice Chairman Chung has been seen focused on bolstering performance in China, which accounts for some 20 percent of Hyundai and Kia’s sales. Chung visited China three times this year so far. In February, Chung visited Chongqing southwestern China where Hyundai’s fifth production plant is located as well as Shenzhen southeastern China, rising as the next Silicon Valley there. Last month Chung attended the launch event for Encino compact SUV, followed by the 2018 Beijing Auto Show. “We have prepared a lot with many new models in line to be released this year, so we are optimistic (about China),” Chung told reporters at this year’s Beijing Auto Show.